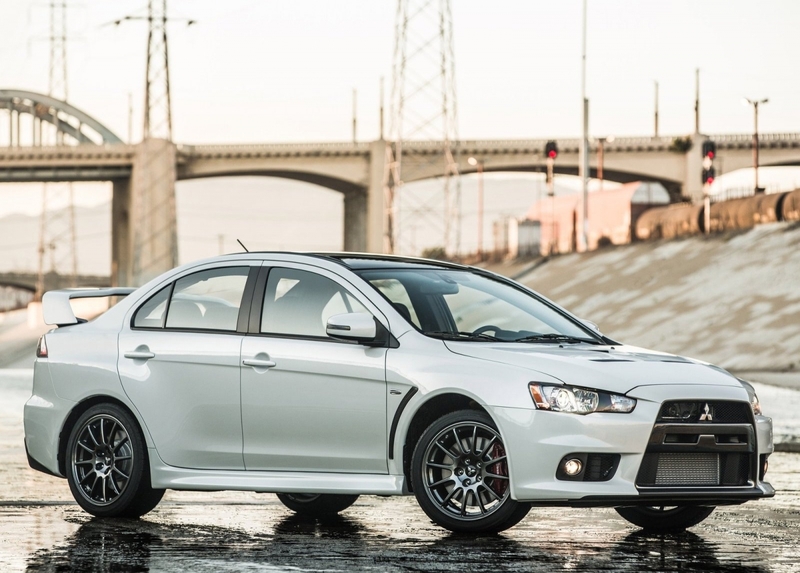 Mitsubishi Motors North America took the wraps off the limited-production 2015 Lancer Evolution Final Edition. The Final Edition serves as the last hurrah of the iconic rally inspired four door sedan and will be the most powerful Evolution trim ever. Only 1600 units of the US only Final Edition will be sold. The Lancer Evolution Final Edition is based on the current GSR model, with exterior and interior enhancements not previously offered on the GSR. The heart of the Final Edition is a turbocharged and intercooled 16-valve 4-cylinder 2.0-litre engine, producing 303bhp at 6,500rpm and 413Nm of torque at 4,000rpm mated to 5-speed transmission. The sports sedan’s performance is further enhanced by the use of lightweight Brembo brake rotors for front tyres. All four wheels get Bilstein shock absorbers and Eibach springs. The sedan also comes with Mitsubishi’s Super All-Wheel control system. The visual updates exclusive for the Final Edition are the badge in the rear, black painted aluminum roof, Enkei alloy wheels, black-coloured centre bumper and bonnet air outlet. The Final Edition models will be offered in four colors — new Pearl White, Rally Red, Mercury Gray and Octane Blue. The interior of the Final Edition gets a numbered badge on the centre console indicating each of the 1,600 units. In addition, Final Edition models receive black headliner, pillars, sun visors and assist handles, and red accent stitching for sport seats, steering wheel, shift knob and floor mats. The Final Edition puts the aficionados in confusion since this is not the first time that Mitsubishi is announcing the last edition for Evolution trim. In March 2014, the Japanese manufacturer announced that no successor for the tenth generation of the Evo would be available, as Mitsubishi shifts its global lineup toward utility vehicles and electrified cars, according to AutoNews. Mitsubishi unveiled the Lancer Evo X Concept Final with potent 473-bhp same year. In April 2015, Mitsubishi launched 1000units, Japan only Final Edition Evolution, reported Road and Track.